Jeepney Collection No 31/ Philippines Jeepney/ Eric-Loida Jeepney/ StuartXchange. 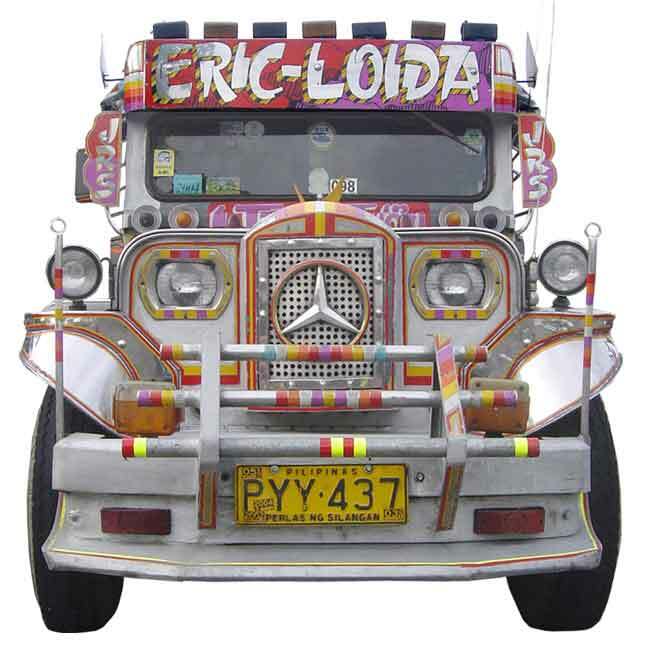 Eric-Loida on the panel board; usually a place that dedicates the jeepney to a family name or a religious quote. Fairly symmeterical application of sticker art and accessories on a a hybrid shell of galvanized and stainless steel. Note the oversized Benz logo. Also, the series of lights atop the panel board.